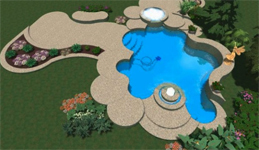 As one of the most experience pool builders and contractors in little rock, we know what it takes to build not just a swimming pool, but a complete backyard oasis. A swimming pool is a wonderful thing to have, but a backyard where you can completely excape, relax and enjoy time with family and friends is even better. Let us help you make your backyard everything you want it to be. There is nothing like enjoying your yard on a warm, sunny day. This means that you will need someplace in the shade to escape the sun. A pergola can provide that shade while preventing sunlight from overheating your home and damaging your furniture and carpets. In some climates you may want to add a sunroom to capture the heat of the sun when it is cold outside. An attractive cabana or gazebo set away from your main house provides additional living space as well as making a exceptional visual statement on your property. Gazebos are a perfect place to serve summer dinners or escape with a book in the quiet of your own garden, and a weather-tight structure can offer your family additional living space all year long. A cabana or garden building provides privacy and can serve as a guest house when friends or relatives visit. Today’s cook centers include amenities such as, refrigerators, warming trays, blenders, sinks with running water and more. After all, with a great yard, you will want to spend as much time there as possible. Eating outdoors is enjoyable any time of day, when the weather is right. 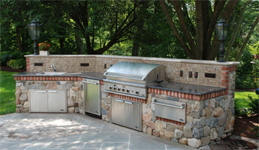 In addition to cook centers, fireplaces are a popular way to add enjoyment to your yard. There is nothing quite like a roaring flame, whether it be gas or wood, to add ambience to a delightful evening. A lower cost alternative is the firepit with a gas burner covered with lava rock. Wood is less practical due to the difficulty of removing ashes from a pit. You have three general decking options: broomed, stamped, and pavers. Color can be added to broom concrete and the surface can be finished with a broom texture or by applying rock salt which melts away to create more texture. The surface can also be washed away as in exposed aggregate, or stamped to simulate a rock, brick or paver. Coating the deck may be done with a variety of products that have either a cement or acrylic base. The surfaces can be textured and applied in a pattern to simulate rock, brick or other pavers. Coatings may also be used atop existing concrete to give it a new appearance and tie new work in with old to create a uniform look. Paved decking involves pouring a standard 4” subdeck and paving the subdeck with bricks, rock or ceramic pavers such as floor tile. Although more costly, this approach yields a rich look that lasts for decades with little or no maintenance. The "shape" or design of the decking can lend itself to increased functionality and better utiliization of the patio spaces. Like the floor plan of a house. This is where a proper thought out design comes in to focus. Retaining walls are used to turn sloped land flat and make it more usable. 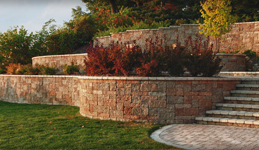 To know whether a retaining wall makes sense for your yard, you will need to know its grade or slope. This is usually expressed as a ratio such as 3:1 or 4:1 which means that for every foot it rises vertically it runs 3 or 4 feet horizontally. With your slope measurement, you can determine the height of your wall and the amount of yard it will gain. There is an issue of diminishing returns. As a rule, a 5’ wall cost three times as much as a 2.5’ wall and walls over 5’ may require special engineering, which increases their cost even more. If you plan to build a pool, its bond beam can be raised to serve as a retaining wall. It is also possible to build rock gravity walls as long as the rock placement follows proper engineering standards. Pools can be a hazard if access and activities are not carefully monitored, especially if young children are involved. 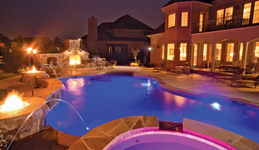 For this reason, the Consumer Product Safety Commission and the Association of Pool and Spa Professionals have joined forces to encourage the idea of multiple barriers of protection for pools. This means that you should not try to rely on just one safety mechanism, but keep many barriers in the way of children that might wander into a pool. For this reason, fencing between the house and the pool, known as four-sided fencing, is becoming more popular. If you choose to install a fence, you will want an attractive one that complements the appearance of your pool. 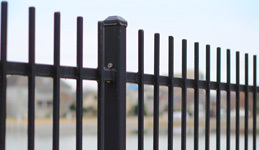 You will also want all gates to be self-closing and self-latching to assure that the area is always secure. If your space is limited and you want to enlarge it on occasion for parties, you may want to consider a pair of wide gates that can be opened to remove the barrier temporarily. Nighttime gives you an entirely new opportunity to design your yard with landscape lighting. After all, why invest thousands of dollars in landscaping, only to have it disappear at night when you are most likely to be home? Landscape lighting offers you an opportunity to literally paint your yard with light. An impressive residence that is admired by day can be transformed into a fantastic showplace at night. By illuminating waterfalls, ponds, terraced gardens and dramatic trees, you can create an evening wonderland. Today’s landscape lighting manufacturers offer an extensive selection of fixtures and styles.Yard lighting today is much simpler than in the past. Using transformers and low voltage lights, there is no need to bury conduit or cable. The lightweight, flexible wiring can easily be concealed among your shrubs and in your ground cover, allowing you to place your lamps where you want. There are also solar-powered lights that can be placed without any wiring whatsoever. Use the position of your lights to take advantage of the textures of your plants and hardscaping. A rock that may not seem at all unusual in daylight can take on an eye-catching look when lit from below. Don’t forget to take advantage of colored lenses for your lights. Color can add even more drama to your lighting. 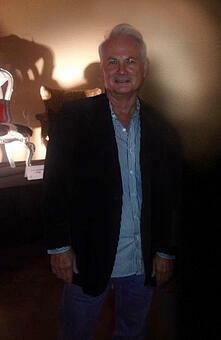 To avoid a carnival-like appearance, add lights slowly and be careful not to overdo it.